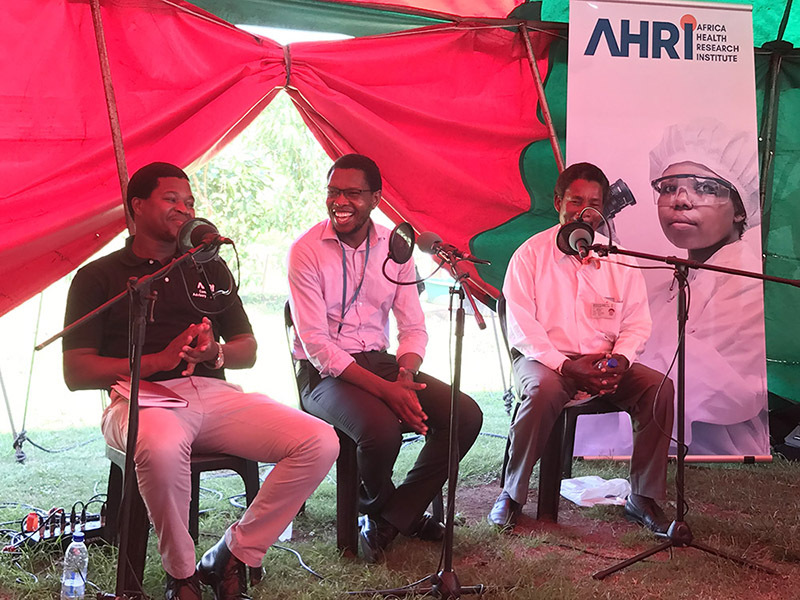 Africa Health Research Institute (AHRI) recently hosted the recording for one of the 2018 episodes of BBC World Service’s ‘The Evidence’. In The Evidence, radio presenter Claudia Hammond joins scientists and experts to explore the effect science has on the world around us. The focus of the episode recorded at AHRI was the relationship between traditional and biomedical medicine. 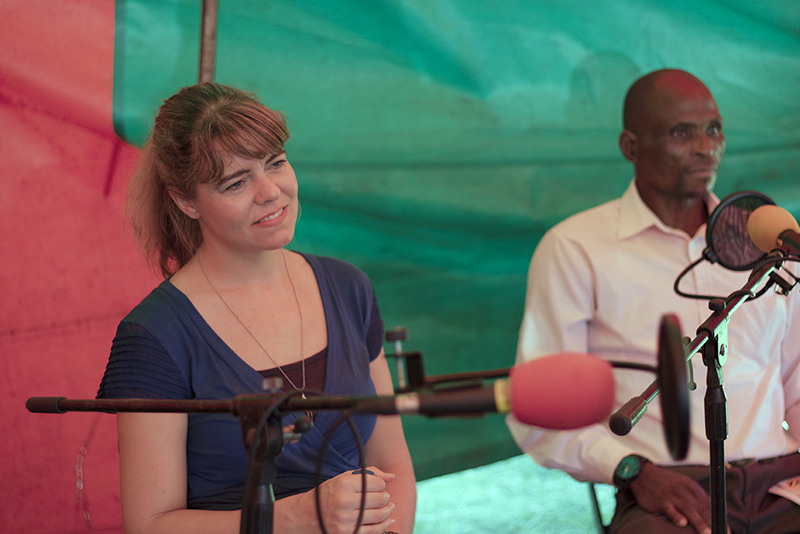 The episode was recorded in two parts – at the home of Traditional Health Practitioner Mr Ximba in Nkombose Village, and at AHRI’s Somkhele research campus. 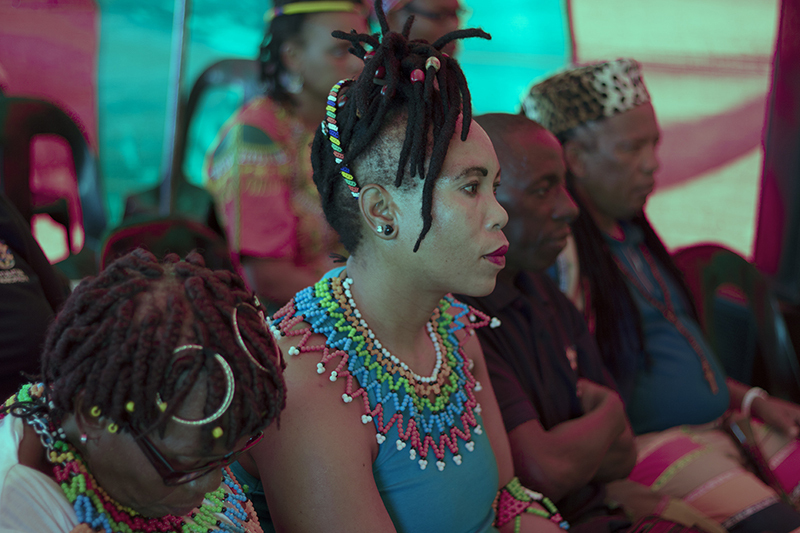 We had sangomas, faith healers, inyangas, medical doctors, local government representatives, members of the community and AHRI scientists on the panel and in the audience. Members of the audience also had an opportunity to ask the panel questions. The recording saw robust discussion between different audience members and the panel about the role of traditional health practitioners and their relationship with doctors and nurses in uMkhanyakude district, and how this could be better facilitated with mutual understanding and collaboration. 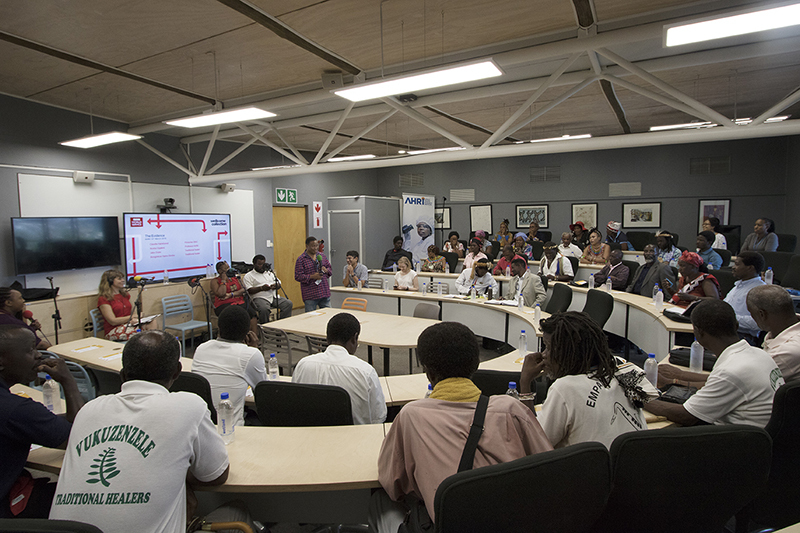 “This was a great demonstration of the important role AHRI plays in facilitating engagement between members of the community, doctors, and traditional healers, to improve human health,” said Prof Nceba Gqaleni, AHRI Science Engagement Fellow and traditional medicine scholar. “This engagement with traditional health practitioners, who form part of AHRI’s broader ‘public’, is a classic example of participants as collaborators in our research. It will go a long way towards the outcome of people-centred health research that Wellcome Trust advocates for,” added Noma Majozi, Head of Public Engagement at AHRI. The Evidence is an annual event and radio series. It is a collaboration between BBC World Service and Wellcome Collection, a museum and library in London, UK, run by the medical research charity Wellcome Trust. The event was recorded and edited into a programme which was broadcast on the BBC World Service in April. It is now available to listen again via the series page for The Evidence on BBC iPlayer. Top photo: Panelist John Mdletshe, an Inyanga (Herbalist) and Sangoma (Diviner), and Chairman of the Mtubatuba Municipality Traditional Healers.